It wasn’t pretty down the stretch, but the Lions did what they had to do, making the halftime adjustments to run away from overmatched Cornell last night at Levien. Rarely does a 10-point win leave the Lion Loyalists as unsatisfied as it did on Saturday night in Upper Manhattan – the aura around the post-game press conference was indicative of that. The Lions began the night hitting 3-4 from three, taking advantage of a Cornell defense that was overplaying the backdoor cuts and providing open looks off of handoffs and down-screens. But after a David Onuorah (6 pts, 4 rbs) rim-rattling dunk, another Onuorah put-back layup, and a Devin Cherry (16 pts) old fashioned three-point play, the game was tied at 21 with 2:59 left in the first half. A pair of “and-1s” from Alex Rosenberg, followed by a Maodo Lo layup got us to halftime, just 29-26 Columbia. Led by Rosenberg’s 20 points, and Mullins, who finished 11-13 from the free-throw line, with 19, the Lions looked under control in the beginning of the second half. Though the normal three-point onslaught wasn’t there, backdoor cuts were – leading to layups and free throws for the Lions, who opened up a 58-40 lead with 6:01 left. Then Nolan Cressler woke up. He scored 9 of his 10 points in a 1 minute and 33 second stretch, cutting the deficit to 9. But it wasn’t enough. Despite a few forced turnovers, Cornell never got the game closer than six. The Lions converted a healthy clip at the line all game, going 26-31 (84%). The game ended 71-61. “There’s no way they’re the worst team in Division I…to us, they were 0-0,” said Alex Rosenberg, speaking diplomatically of the Cornell Big Red. According to Ken Pomeroy, Rosenberg is right; they’re not the worst. Cornell, at 1-14 – their only win over Division III, Oberlin – ranks 345 out of 351 after last night’s performance. Through Kyle Smith’s bright lens, his team maintained its composure through adversity. To many others, the Lions looked shaky down the stretch, and vulnerable to full court pressure. Though this was a 10-point victory, it left most with a sour aftertaste. Columbia’s next 5 games are on the road. After traveling to Ithaca next Saturday for a rematch against the Big Red, Columbia has two tough road trips: Yale/Brown, and Princeton/Penn. Disagree? Agree? Drop a comment below or interact with us on Twitter @gregMschwartz and @IvyHoopsOnline. Attendance at Levien is usually good whenever one of the big (literally) schools (Cornell, Penn and Harvard) is the opponent. 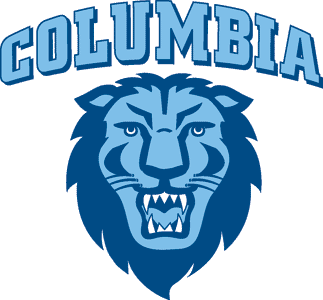 That’s not at all a knock on Columbia’s student support, just an observation about three schools which have a huge alumni base in NYC. The four schools (C, C, Penn and H) are the Ivies with undergraduate enrollments greater than 7,000 and total enrollments greater than 20,000. Compare that to Dartmouth and Princeton which have total enrollments around 7,000. I attended the game last night and was shocked at the size of the crowd. Not a sell out but it was close. I also made a point of noticing that the overwhelming majority of the non student section appeared to be Columbia fans. (A distinct difference for me because when Penn plays the section is almost always full of Quaker fans. Perhaps that will change this year.) Thus The Lions are drawing well so far. I suspect if they were playing brown or Dartmouth last night it would have been the same size crowd. As an aside, from my floor level seat (did you expect me to sit anywhere else? ), I struck by the confidence on the faces of the Columbia players. We’ ll have to see if this holds up. Every losing team has, at least, one run in them. Luckily, Columbia was very solid at the line, so there seemed there was little chance that they would give the game away. The Lions had a nice balanced attack. Very solid back court and Rosenberg looks more like the POY with each game. I agree with the AQ that this team and its coach seems very confident. If there was any real downside to last night’s game, it would be the play of its two big men. Osetkowski was not a force on the inside and had too many fouls & turnovers. Also, Petrasek has lost his offensive touch since the St. John’s game. If these guys want to go in and sweep the P’s in a few weeks, they both will need to improve. Harvard’s big loss tonight against under .500 Florida Atlantic (53-68) shows that this team is not invincible and the Ivy race may not be such a foregone conclusion. Perhaps the Lions really are the main challengers to the Crimson. The next 5 games are huge…..